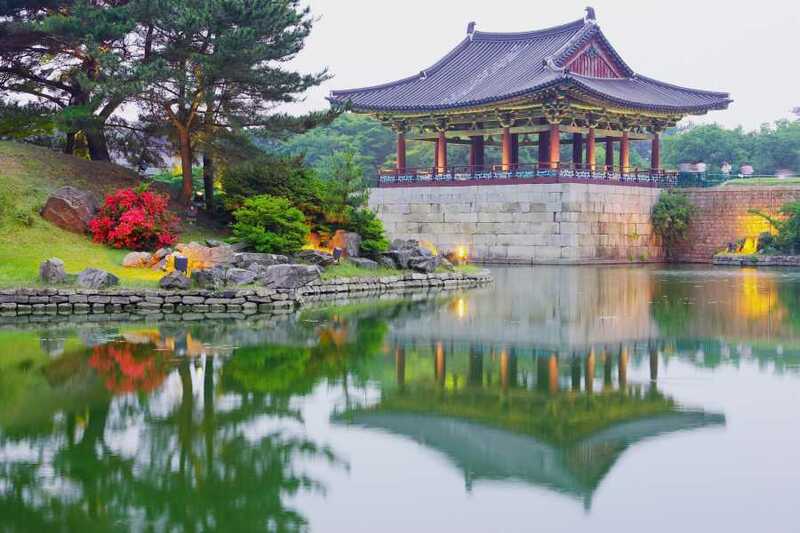 Explore Gyeongju city in this overnight tour! This entire city of Gyeongju is announced as an UNESCO site. Through the city tour, you can feel the essence of the Silla millennium in every part of the city for every season. 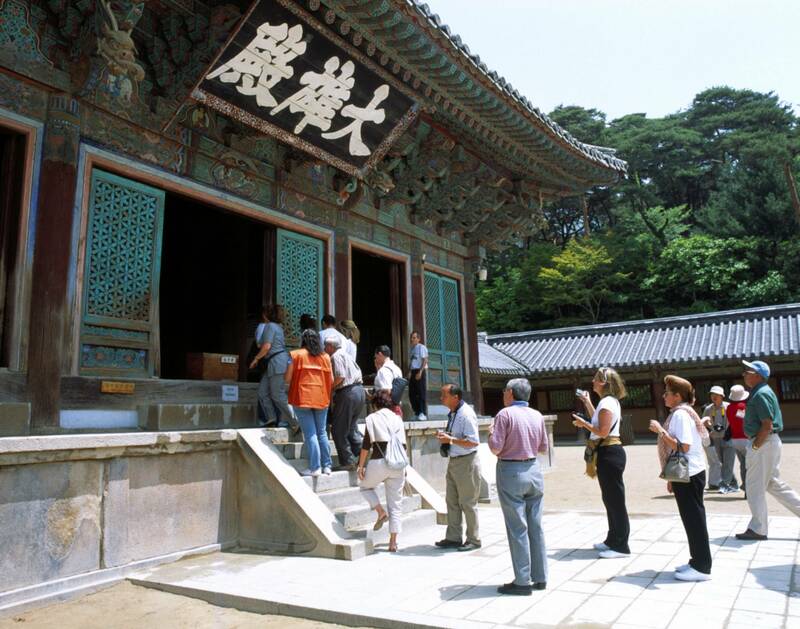 The tour has educational benefits for children and adults who want to learn about Korea's history right at the sites where events took place. 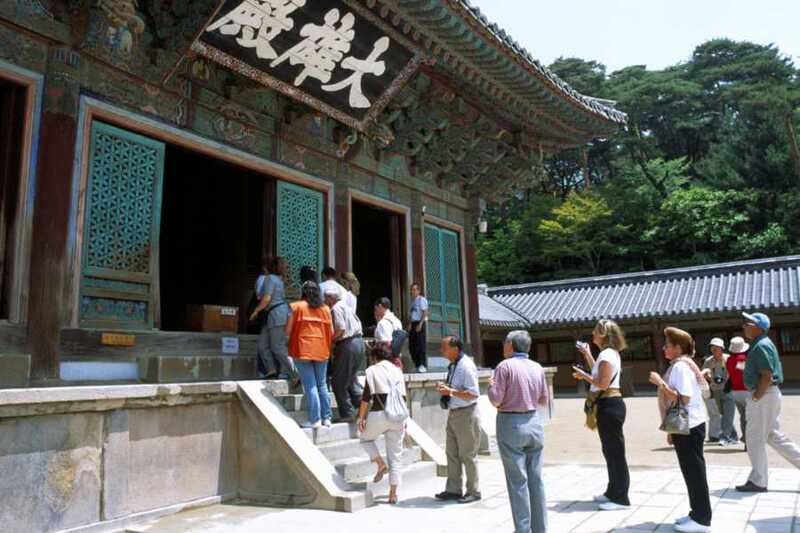 Tourists can see all of Gyeongju's main attractions in a single tour. This is available every day, 365 days a year. 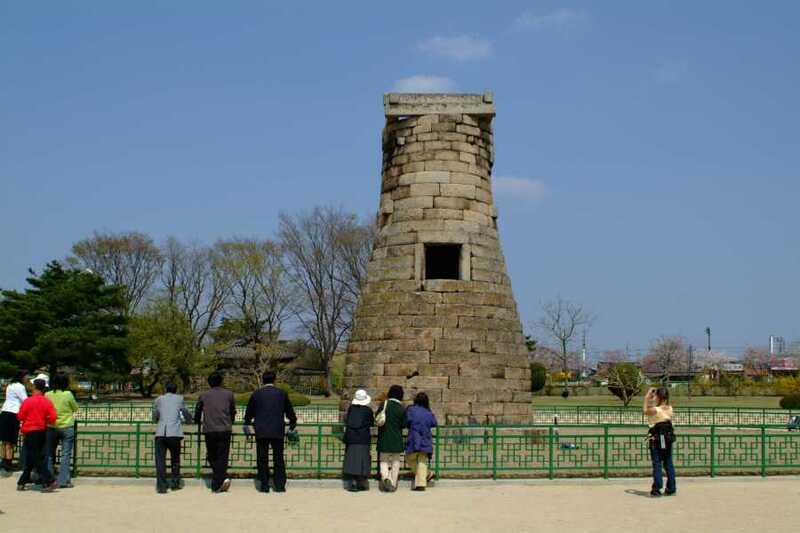 Tour guides are also available to give a clear explanation about Gyeongju's sites. After breakfast at hotel, go to Bulguk-sa Temple ("Temple of the Buddha Land") built in 751. 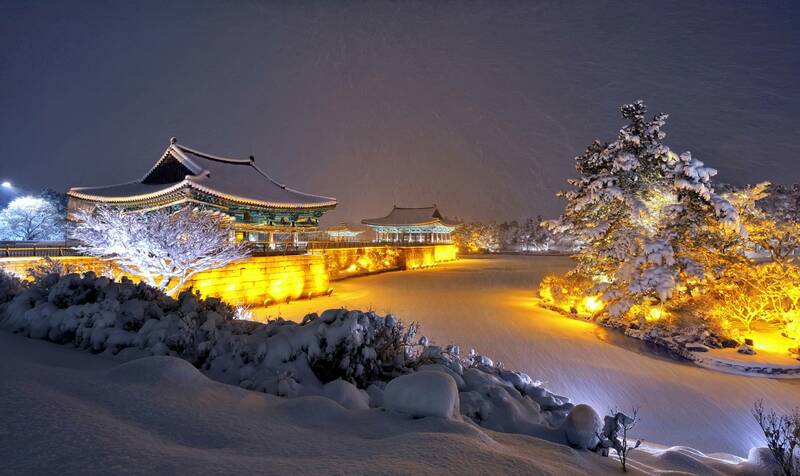 Bulguksa temple is probably the most famous temple in South Korea because of its UNESCO status. Renowned for its design that symbolizes dignity, peace and harmony, the temple compex is considered one of the most remarkable architectural achievements of the ancient Far East. 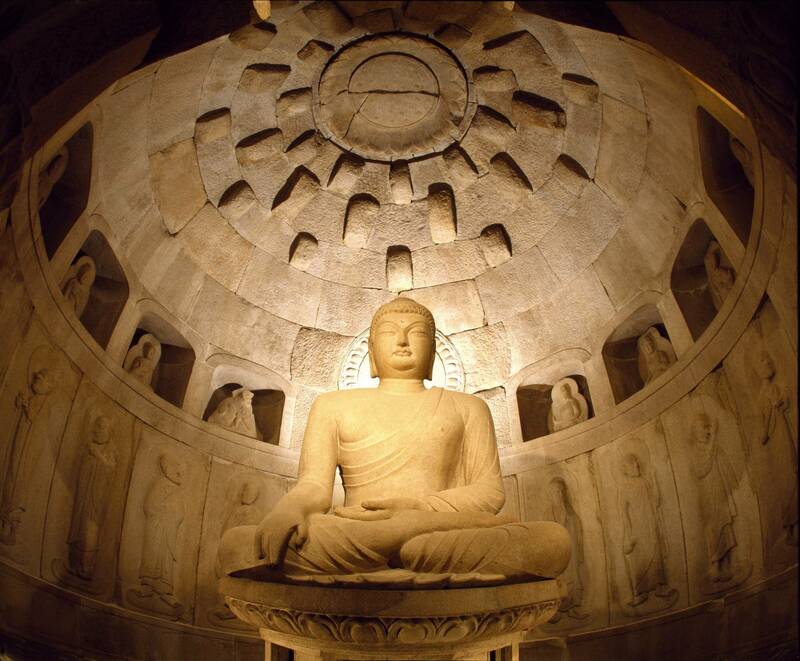 After Bulguksa, take the bus up to Seokguram, with buddha built in a grotto. The grotto is also included on the UNESCO list as a separate item. In the mountains behind Bulguksa lies the Seokguram Grotto. 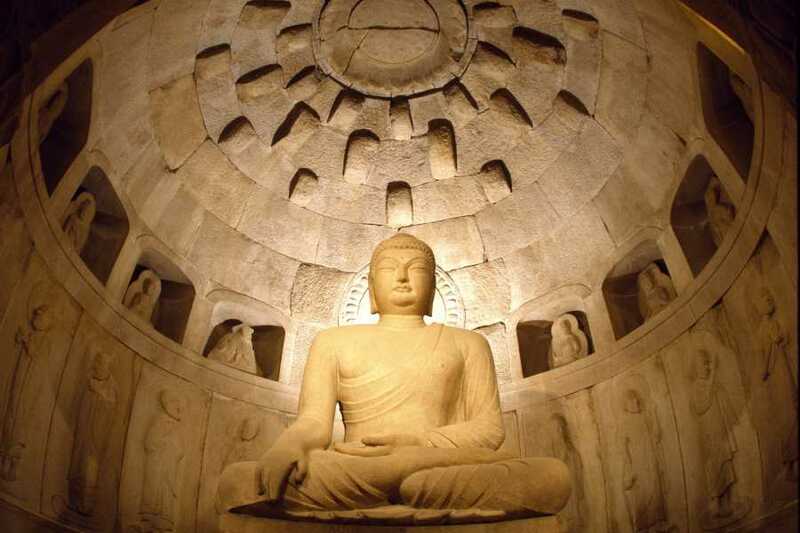 Seokguram is not a naturally occurring cave, but another impressive example of cunning Silla craftsmanship. The entire cave-like structure, built into the hills above Bulguksa, was constructed with hundreds of stone blocks, no mortar involved. Your next visit is to the Gyeongju National Museum, where you can further explore Silla traditions through the many archeological and historical artifacts on exhibit. Afterwards, make a stop at an Anap-ji Pond. 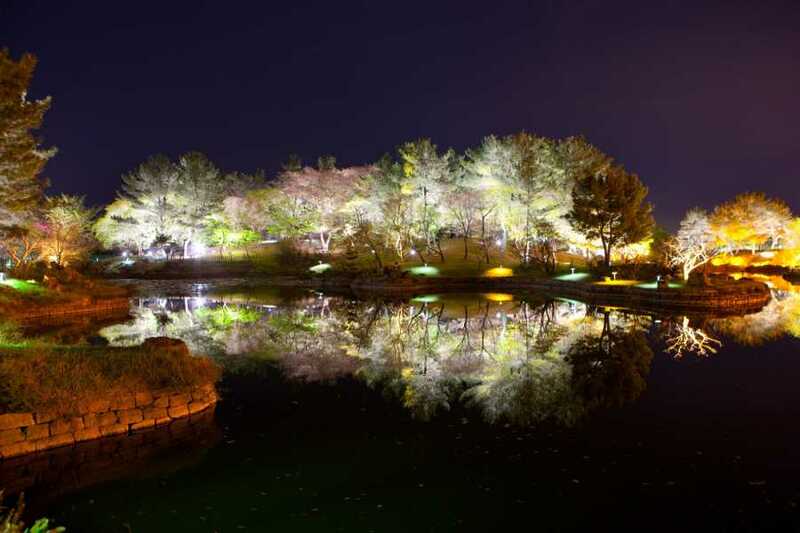 Anap-ji Pond is an artificial lotus pond dating back to 675. Back then Anap-ji Pond, and the lavish surrounding garden, dotted with dainty, picnic-sized pavilions, were the site of many a royal outing. Today it's far less exclusive, but no less lovely. Near Anap-ji Pond, there is the Cheomseongdae Observatory, the oldest existing astronomical observatory in Asia. You'll learn how it was used to forecast the weather by observing the constellations. Disembark the coach when you reach at the entrance of Daeleungwon, or Tumuli Park. Tumuli Park is actually an old burial ground. 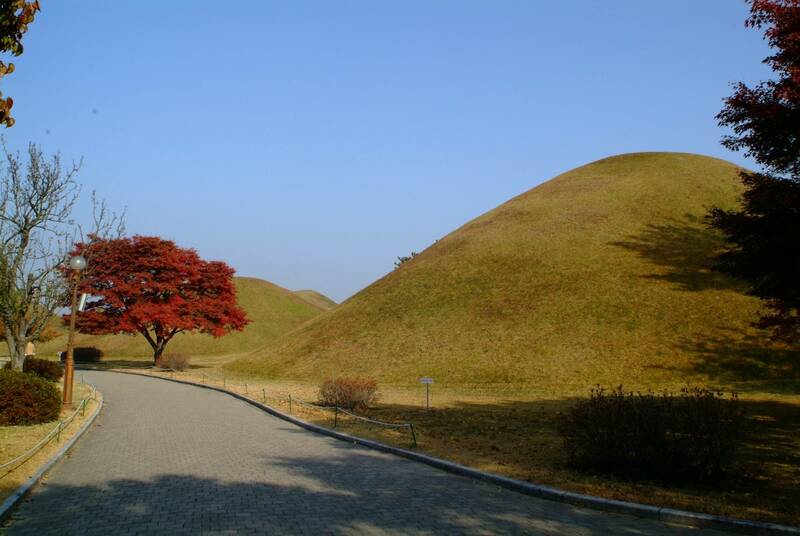 The remains and relics of ancient Silla kings and queens, dating back centuries, are still protected inside grassy mounds. Some of the tombs have been opened up to the public; you can go inside and admire the riches of dead Silla royals. Take a rest at your hotel and finish your first day trip in Gyeongju. 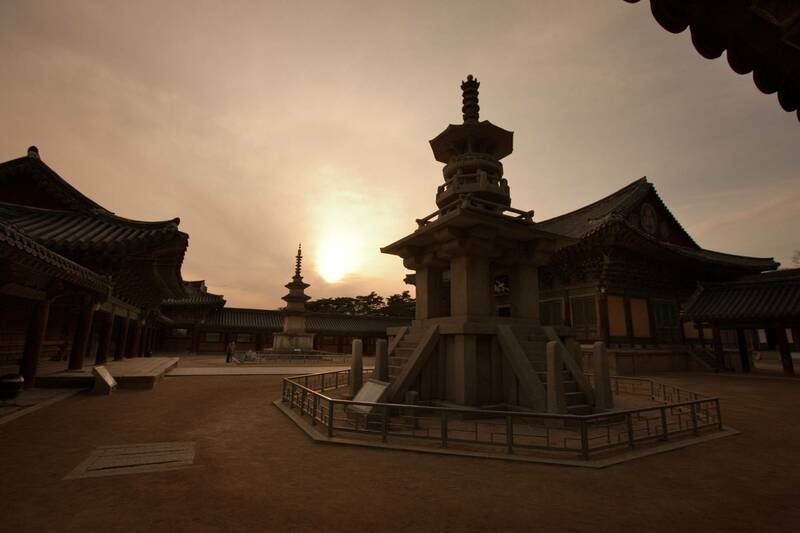 After pickup from your hotel, depart by private vehicle for the Folk Craft Village of Gyeongju. 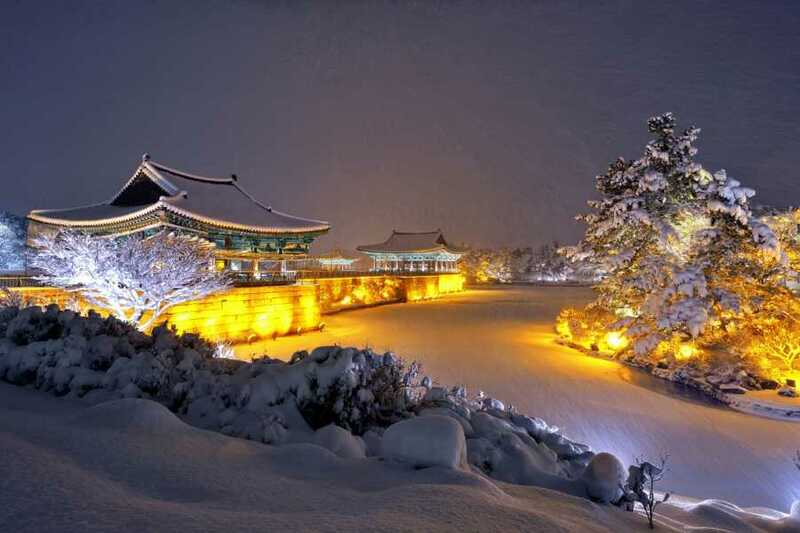 The Folk's Hand Craft Village was created in 1986 to preserve traditional Shilla artistry. It also helps promote the artisans who carry on the traditions of their crafts by allowing them to sell directly to the public. At the entrance to the village is a large building with various shops selling traditional handicrafts.Inside the village live dozens of artists who practice their trade and sell their wares of wood, metal, and pottery. You can watch many of them as they create their works. All the work is done by hand. After learning more about Shilla Klin from your guide, board the bus for the 4 hour return to Seoul, where you'll be dropped off at your own hotel. See Anapji Pond at a Silla palace in Gyeongju National Park.